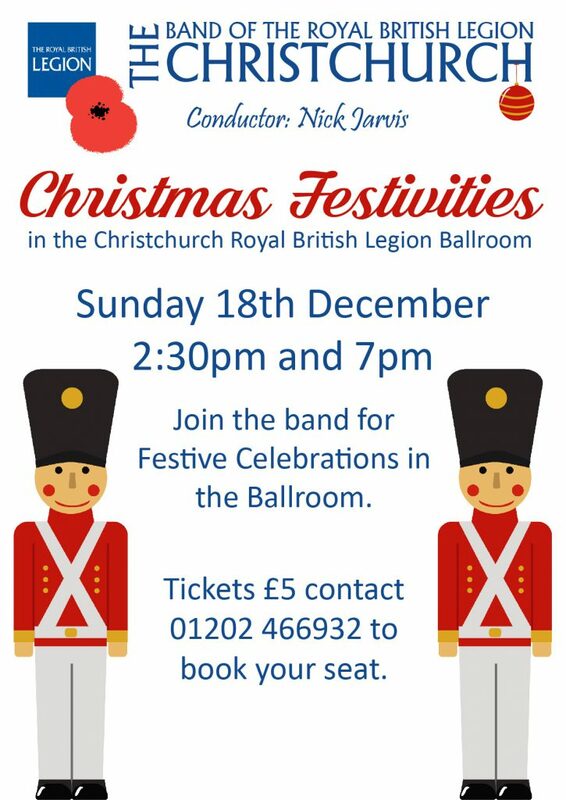 The band is pleased to announce our Christmas Concert, on the 18th December. This will be held in the Christchurch Royal British Legion Ballroom at both 2:30pm and 7pm. Tickets are available from 01202 466932.